The science wonks of the English-speaking world have no shortage of animal words thanks to the “ines” — feline, canine, bovine as well as weird ones like pavonine for peacocks, dasypine for armadillos and even asinine for donkeys. But the “ines” all tend toward a high-minded, labcoast-and-beakers sort of conversation. Do you have anything in a regular sort of suffix? Yes. Yes we do, and it’s the word of the week. struthious (STROO-thee-us) — adjective: of or relating to ostriches or similar birds. Tweeted out not too long ago by the OED, struthius might seem like the kind of word you non-ostrich ranch-owning readers might have little reason to use. 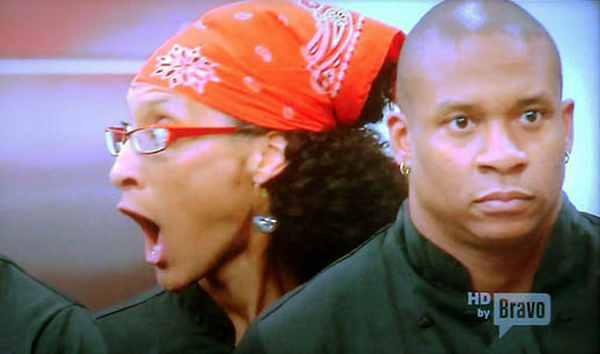 And that night be true, but you never know when you might need to recap an episode of Top Chef. However, I’m happy to have her as we have her today: cooking and looking animatedly struthious. 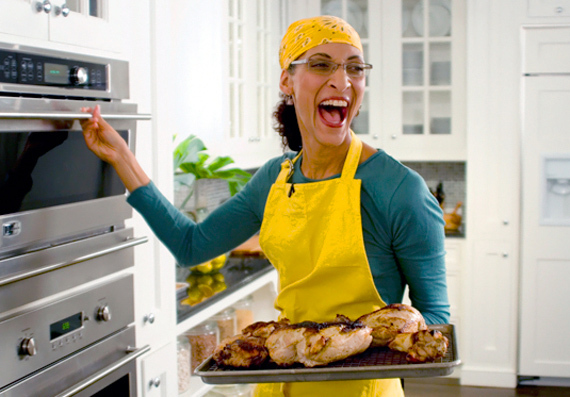 If there's one reason to condone reality shows in general, it's that a reality show introduced the world to Carla Hall. Yes, she makes up for the Kardashians and ever post-New Orleans season of The Real World. She's amazing. I love her. Honestly, yeah. She's pretty much pure goodness -- love and earnestness and reputedly serious culinary talent that I'd like to sample one day. 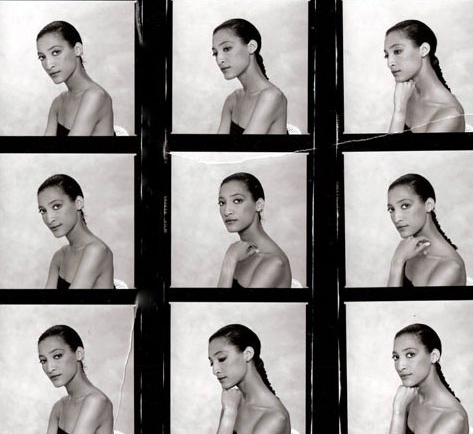 In that contact sheet, she's kind of got a model-lady-Abed thing going on. This is a valid point -- and that's remarkable in that I'd always thought of Danny Pudi as having more of a turtle thing going on.